This quotation by Goethe sums up the fact that art is a gift to all human beings. Art transcends time and place. It is through the study of art and artifacts of ancient civilization, indeed since the time of early cave man, that we can understand and visualise their way of life and their emotional thoughts and feelings. When we study art we perceive it on many levels, not only looking or hearing but seeing and listening, and above all, feelings. Art is a powerful form of communication as it reaches beyond the particular cultural era of its creation – recreating emotional responses in people of diverse cultures and generations. The creation of a piece of art encompasses psychological and physiological manifestations. The mind conceives an idea and the hand finds some outward form of expression for that idea. This expression in outward form can find a great variety of outlets such as in the visual arts, music, poetry, all literary forms, inventions and everyday functional objects. 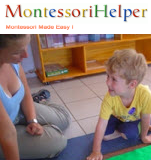 CREATIVITY IN RELATION TO THE Montessori METHOD. To create means to take what is known and understood and to form from that something new. The child’s task is to form himself. From the experiences and opportunities he receives from his environment, he creates for himself his own faculties of will, intellect, co-ordination and ultimately his whole personality – the adult he will be. Thus the child’s creative potential goes far beyond the usually accepted very limited concept of art of children. The role of the adult in the Montessori classroom is to respect the creative nature and creative powers of the child and to prepare an environment to bring this potentiality to its fullest. Art is an outward expression of an inner development and the Montessori programme encompasses various preparatory exercises to guide this inner development and encourages the outward expression to take a variety of forms. For a child to be creative he needs information in all areas of learning. The cultural curriculum will augment the child’s mind with rich experiences and information of all branches of knowledge. The adult’s responsibility is to help and guide the child in building his intellect. Through the cultural activities facts are presented in clear, interesting and exciting ways. The child’s mind is not confused with fantasy. To express outwardly an idea in the mind requires acute powers of observation. The child’s senses are refined by exploration, experience and repetition of the exercises and activities designed around the sensorial material. The child is also able to perceive the nuances of the qualities of colour, texture, shape, and form essential for the successful execution of creative piece of art. The Sensitive Period for the refinement of the senses is at its height between the ages of 2 ½ to 5 years. It is during this time that the various sensorial materials are introduced to the child. It thus makes optimum use of the special psychological powers, which make it possible for the child to abstract the essence of the materials more easily and more perfectly than would be the case at any other stage of development. The hand serves as an instrument of the mind and must be prepared in order that it can make visible in creative form what the mind wishes to express. 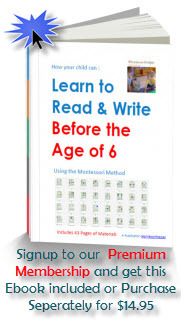 The Practical Life activities are designed to refine the child’s hand and eye co-ordination. There are motives for control built into the activities and the child practices and repeats until the hand obeys the mind e.g. pouring without spilling. These activities are an indirect preparation for the hand in respect of art much in the same way as they are an indirect preparation for writing. A sequential orderly way of carrying out tasks and thus learning a skill gives the child a pattern for orderly thinking and functioning. The practical life activities have a logical beginning, middle and end. The child acquires a synthesis of order which leads to concentration and development of the will, both very important attributes for self – expression through art. CREATIVITY IN THE Montessori CLASS. The creative use of language is encouraged from very early on e.g. discussions, conversations, writing own stories etc. the children are expose to the beauty of language in the form of poetry, stories, picturesque vocabulary in all cultural areas. Thus the children are able to express themselves beautifully because of the exposure they have received in the environment. When the children take a piece of sensorial material and re-arrange it in a new way, observing a pattern that is different, they are creating. They have already absorbed the essence of the materials concerned. Their experimentation adds further understanding and further application. Music is an integral part of the Montessori curriculum. The children are encouraged to sing, move rhythmically, learn to play the bells to refine their sense of pitch. They also learn notation. This is all preparation for composition, which is the natural point of arrival. The children are encouraged and are able to create their own music. In order for a child to come to know and appreciate visual art, it must be part of his everyday environment. With the aid of the power of the Absorbent Mind the child absorbs aesthetically from the environment. The home environment should contain art so that the child is exposed to the beauty and wonder of thought expressed through art from his earliest days. As the Absorbent Mind also absorbs attitudes, the attitudes of the persons in the child’s environment towards the beauties of art will become part of the subconscious of the child to develop later as part of his total personality. The visual arts have a place in the Montessori curriculum as an important area of learning. Children’s work as well as that of adults should adorn homes, school and public places. It is important that the adults respect the art of the child – it is an expression of himself and to give a negative response would be to damage the child’s self – image.